Finishing touches are being put on The Fairmont, Ellicott Development Company’s latest historical rehab project. The eight-story building has gone through a drastic transformation from vacant industrial space into a mix of office, apartments, retail space and a restaurant. The space is filled with industrial details that give a nod to the history of the building. Interior common spaces feature several impressive contextual murals painted by Bogue Art Studios. Many more art works will soon be added both inside and outside the building. 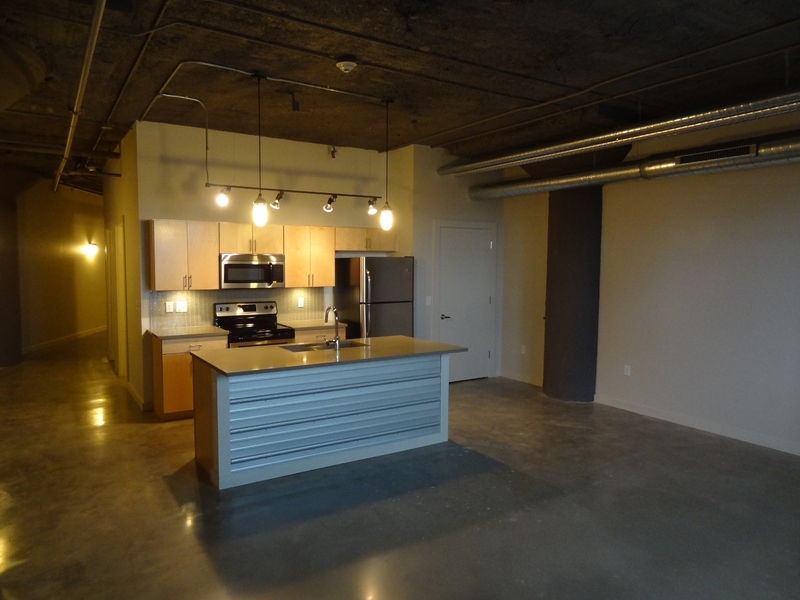 Thirty apartments on floors three through five feature a spacious raw modern feel. The studio through three bedroom units range from 550 to 1,750 square feet. They contain such details as refinished concrete floors, quartz countertops, stainless steel appliances, in-unit laundry, high structural ceilings and other industrial touches. 5,000 square feet of ground floor restaurant space is spoken for by a local restaurateur and should be opening early 2015. Office space is filling up fast. Liazon, a provider of private online benefits exchanges, occupies the eighth floor and has expanded into the seventh. The second floor was previously slated for banquet and meeting space but is now on the radar of a prospective office tenant. Two+ retail spaces remain available. Apartments on the fifth floor are now available and the units on the third and fourth floor will be finished in coming weeks. The Fairmont complements other developments in the area, which include the neighboring Seneca Buffalo Creek Casino and Elk Terminal Lofts, Savarino’s planned Buffalo River Lofts, Buffalo RiverWorks complex, Buffalo River Fest Park, Ohio Street reconstruction, and a few new Cobblestone area venues. It is also just a short walk to Canalside and HARBORCENTER. Silvestri Architects are the architect of record for the building. For more background on The Fairmont, click here.